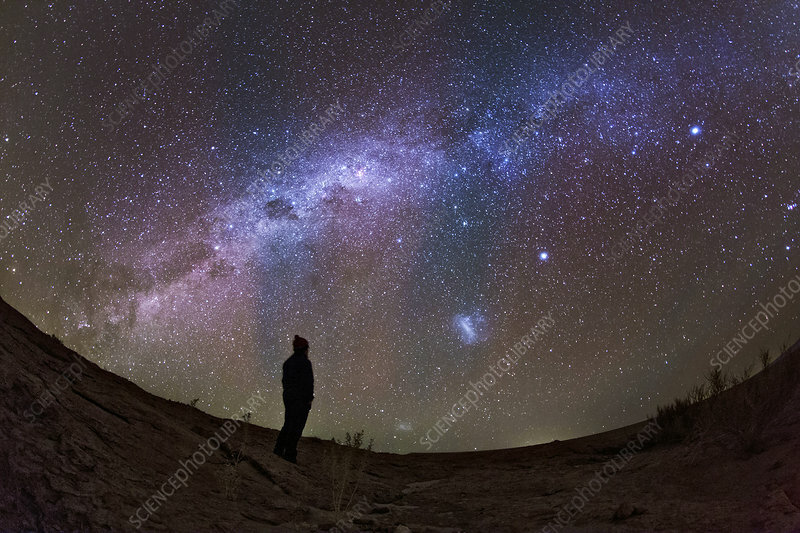 A stargazer observes the Milky Way. The faint red bands are airglow, natural emission from the Earth's upper atmosphere. The Large and Small Magellanic Clouds appear in the lower centre. The two brightest stars of the Earth night sky, Sirius and Canopus are on the right. Photographed on the Altiplano, (the Andean Plateau) in northern Chile.